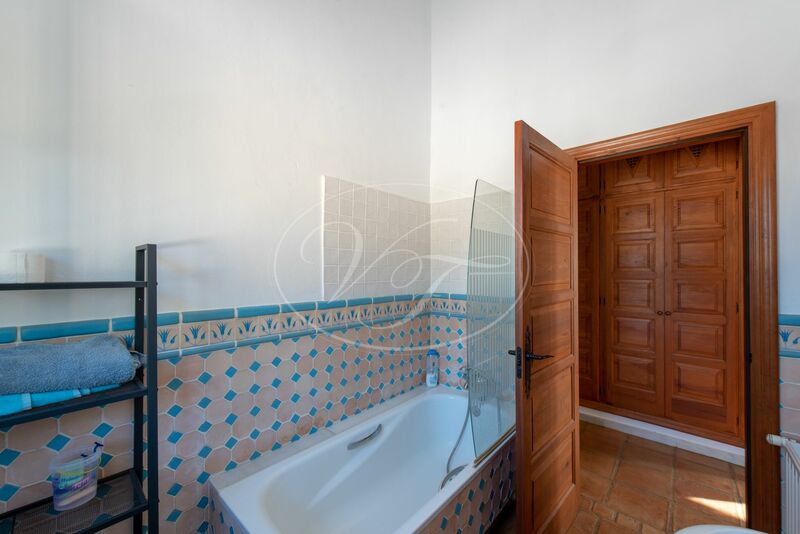 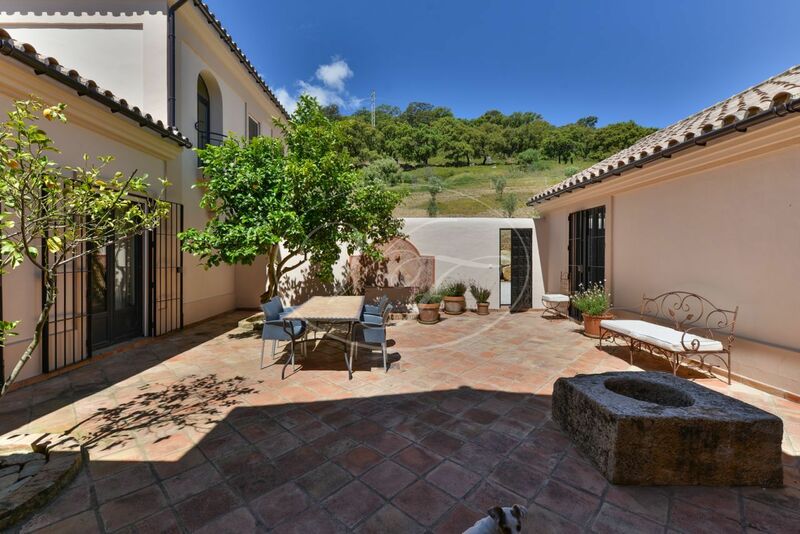 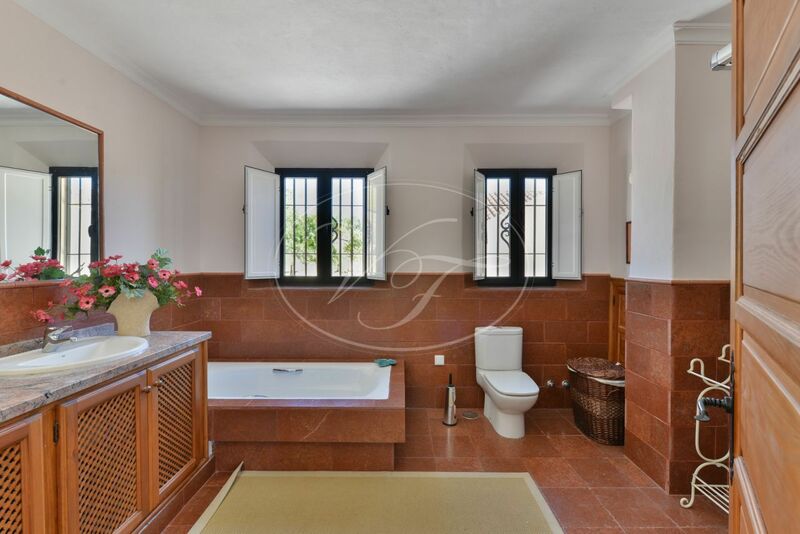 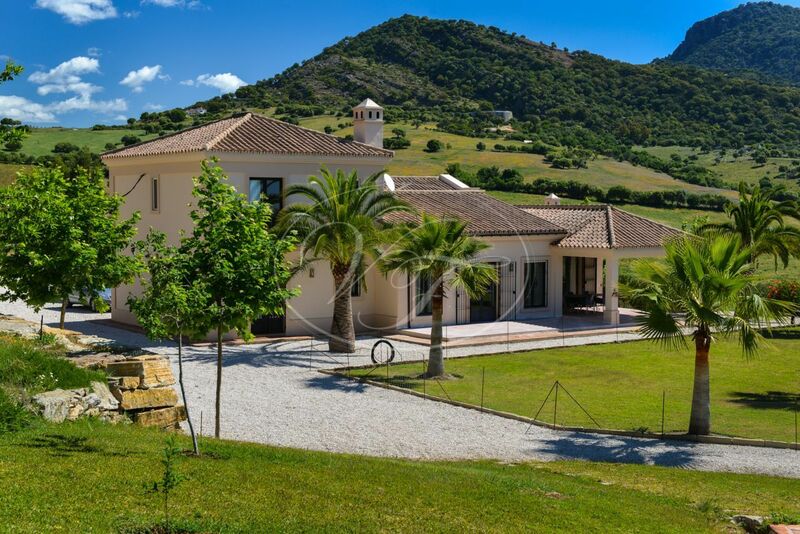 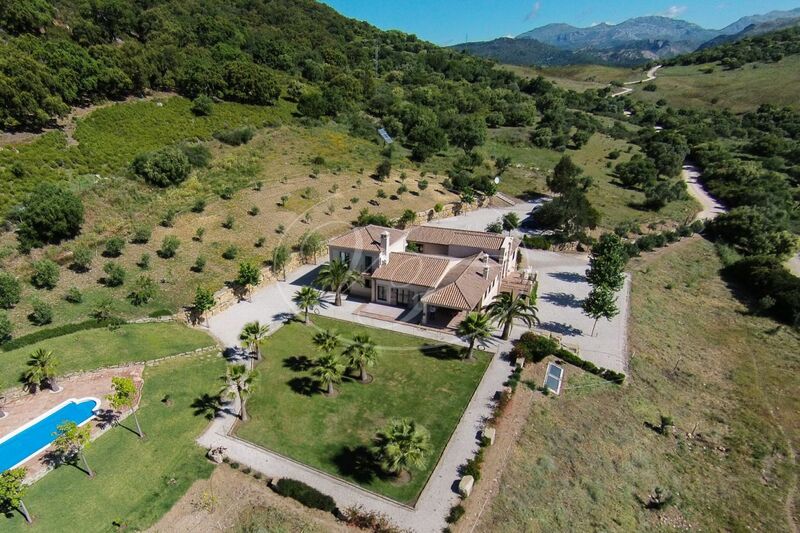 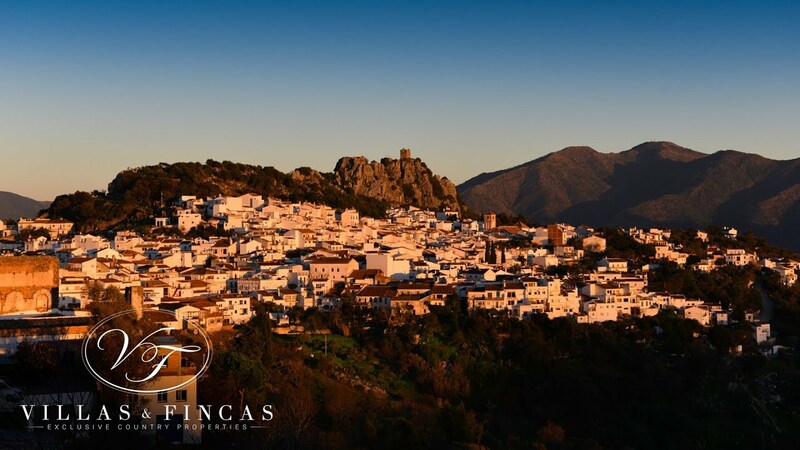 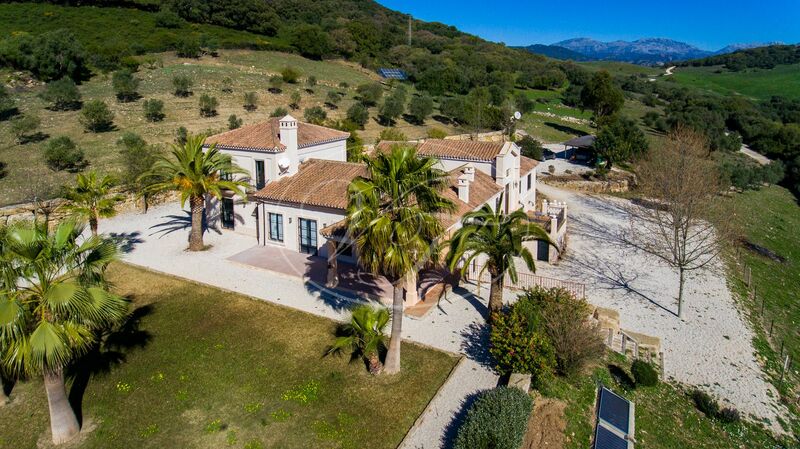 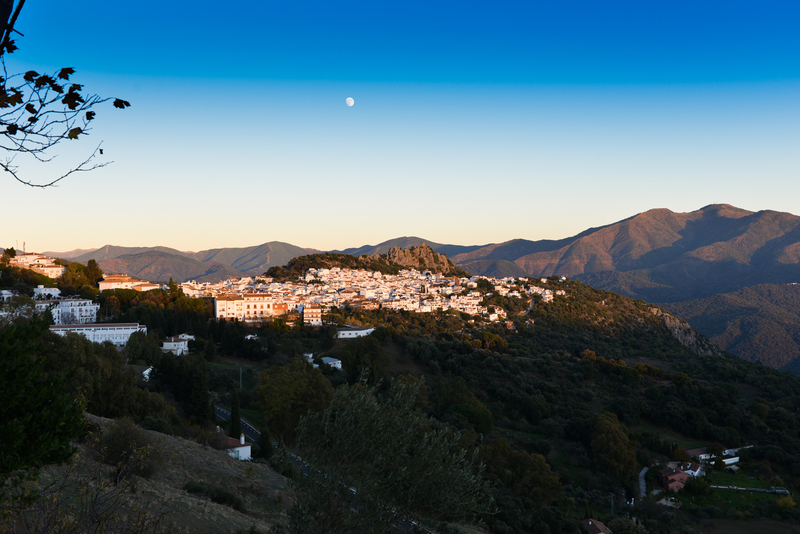 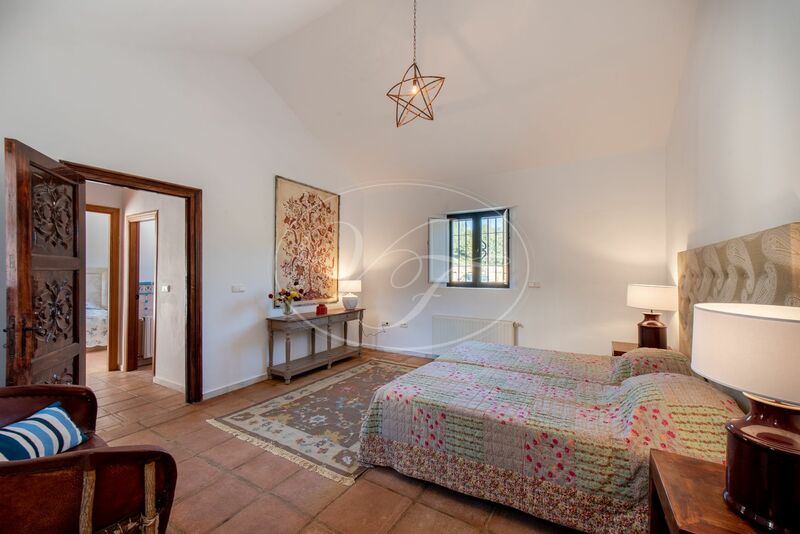 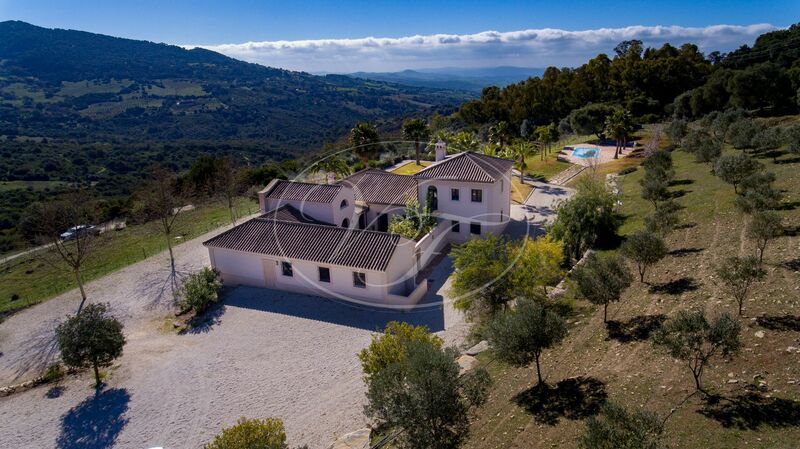 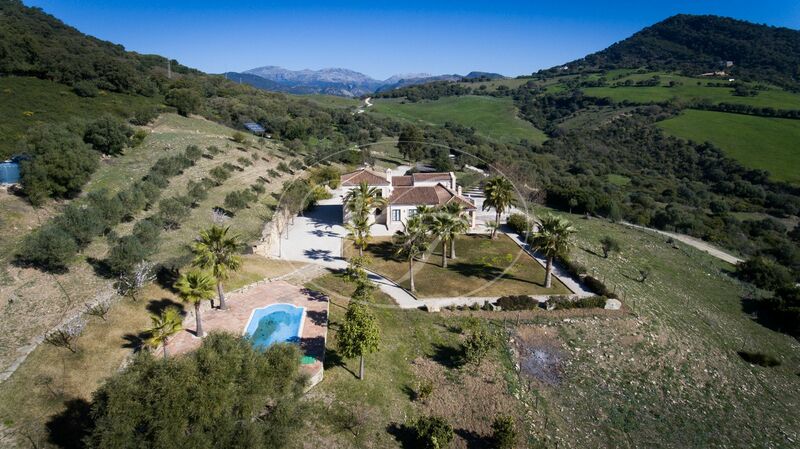 Outstanding country property beautifully set in the hills of GaucÍn, Málaga, Andalusia. 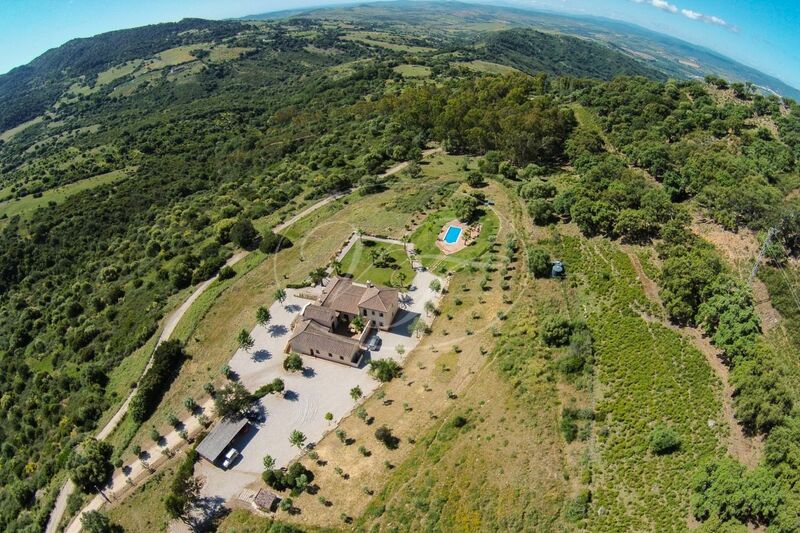 Large plot, very suitable to keep horses. 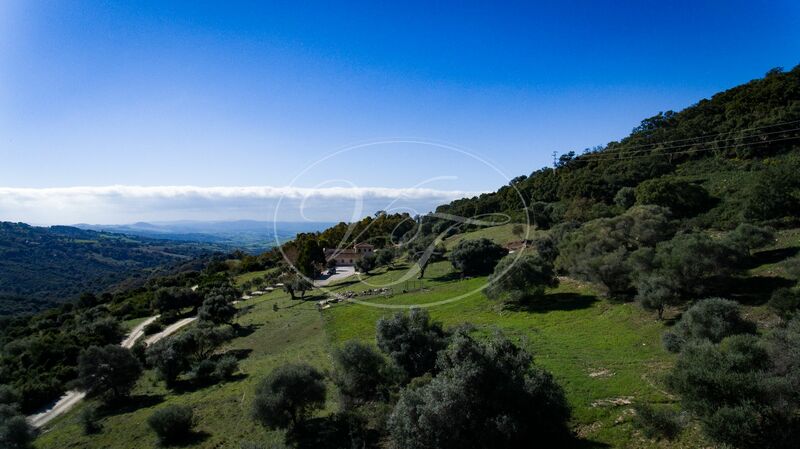 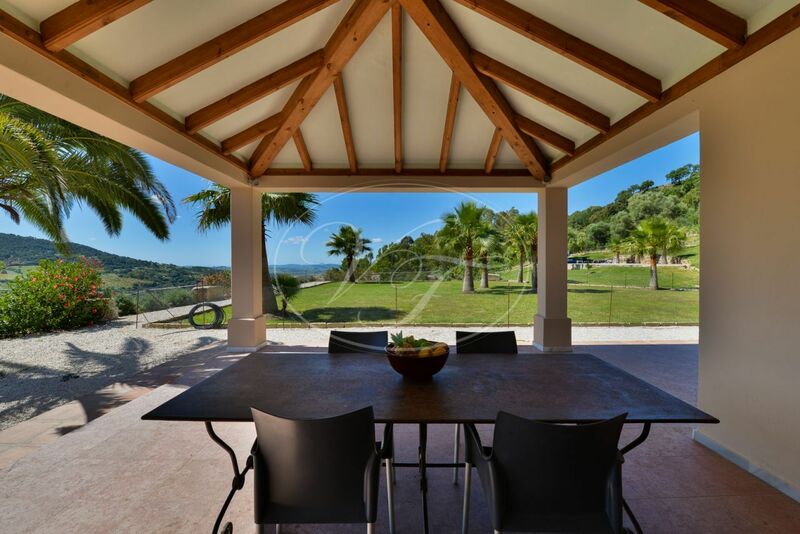 The house has panoramical views over the countryside and in the far distance, Africa and Gibraltar. 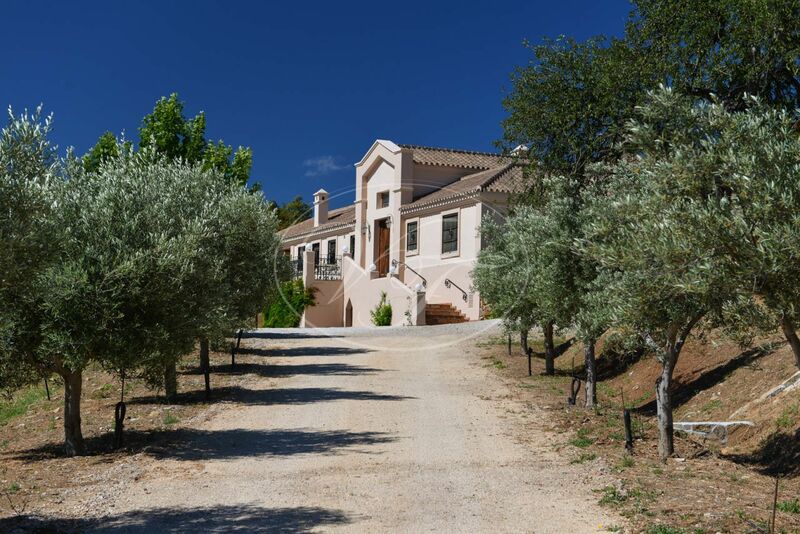 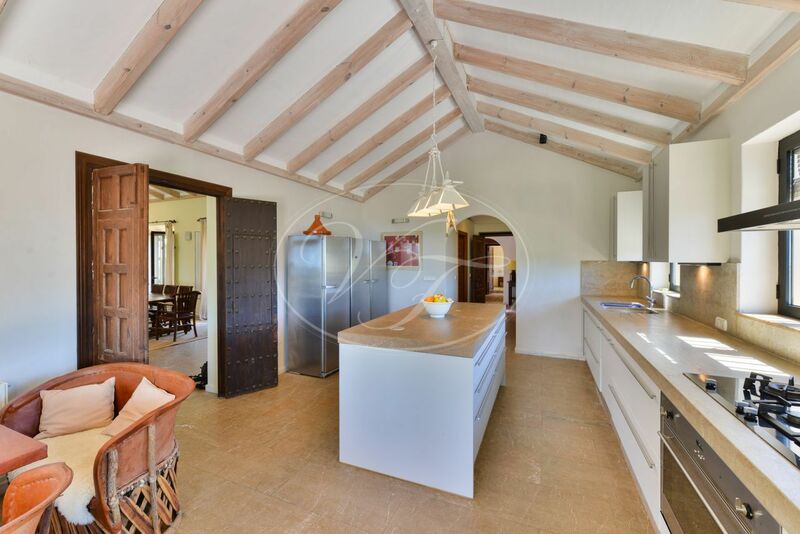 The property is surrounded by a variety of palm trees, olive trees, fruit trees, lawns and has ideal grazing land for horses or space for a private vineyard. 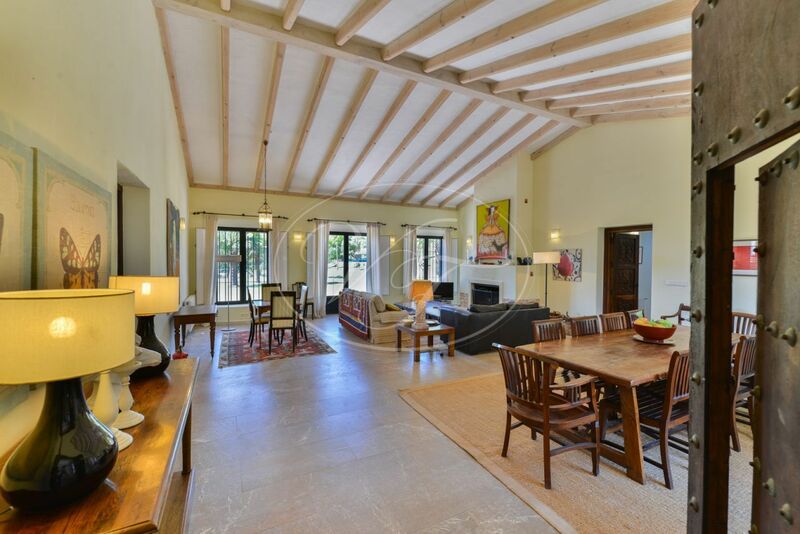 The estate features lovely exterior and interior entertainment areas with its several terraces as well as a courtyard. 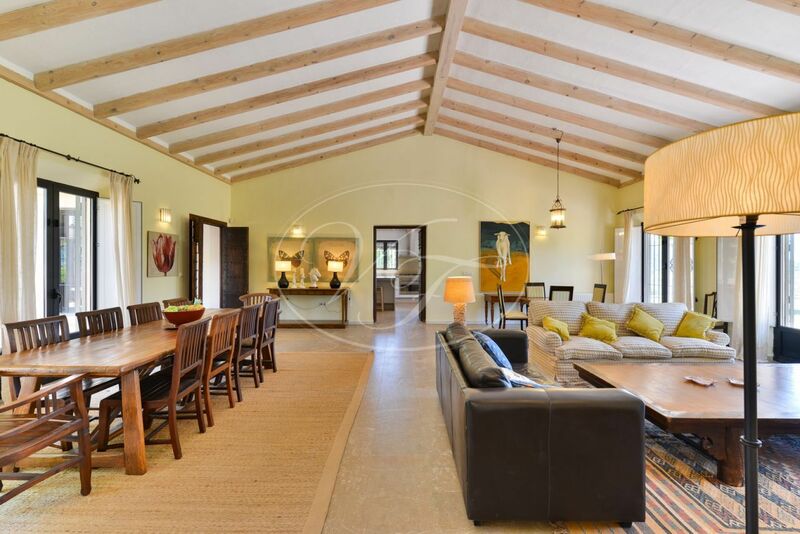 The property boasts high beamed ceilings and features exquisite details such as beautiful antique doors, hand-carved doors and ironwork from the local artist Sebastian Fisher. 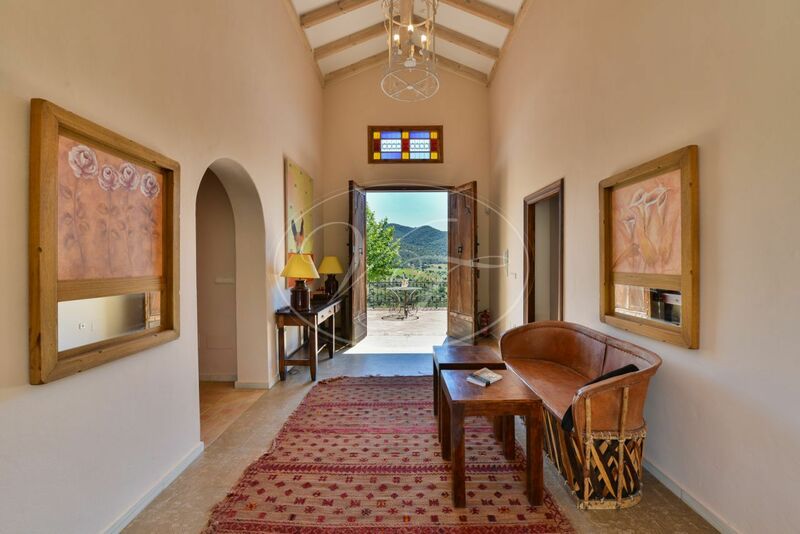 The property is designed by the architect Cesar de Leyva. 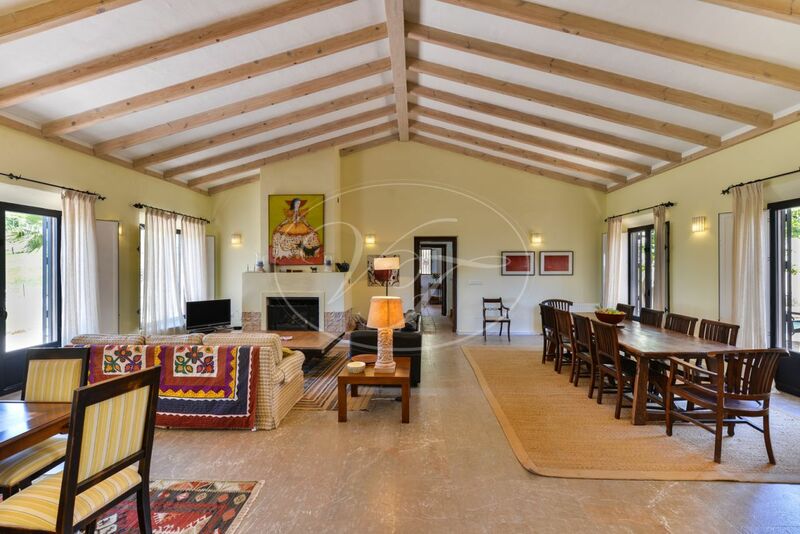 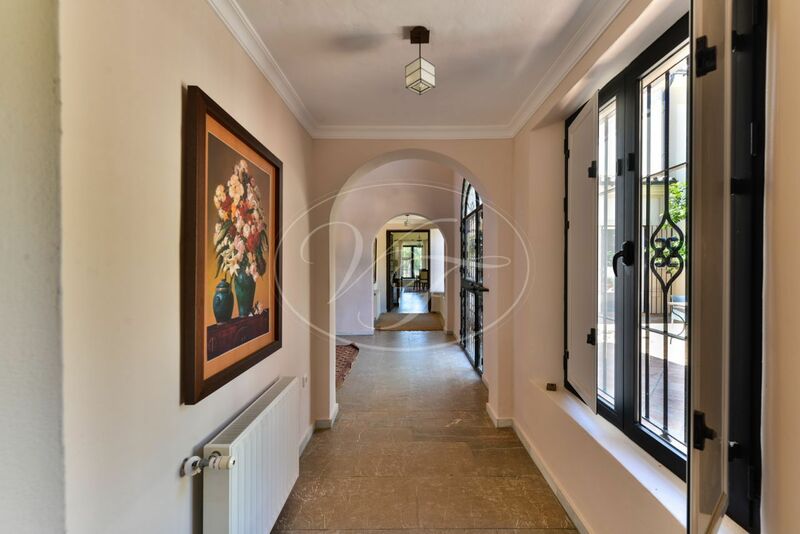 It is accessed by a gravel road, large private entrance drive with olive trees, ample parking and a large carport for cars and a tractor. 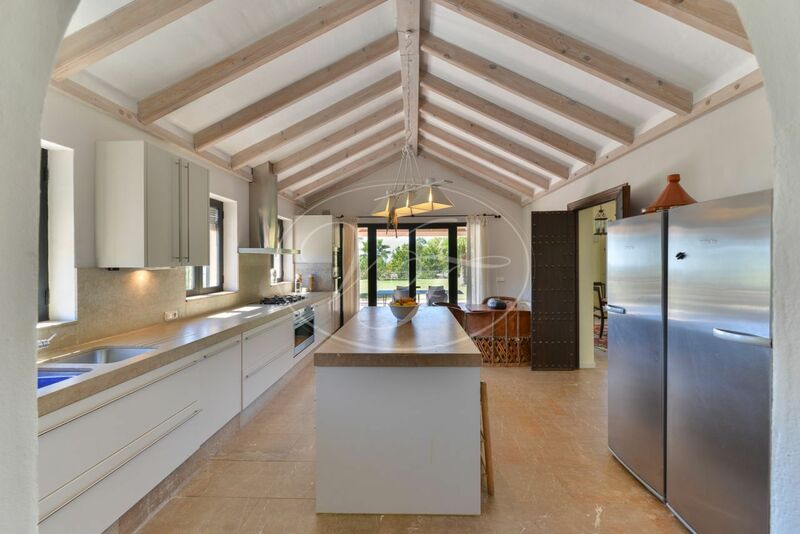 The property is built on two levels: entrance hall, a living room with high beamed ceilings, fireplace and dining area, the spacious kitchen which offers extensive working space as well as a variety of modern appliances, a utility area and a large covered terrace with panoramical views. 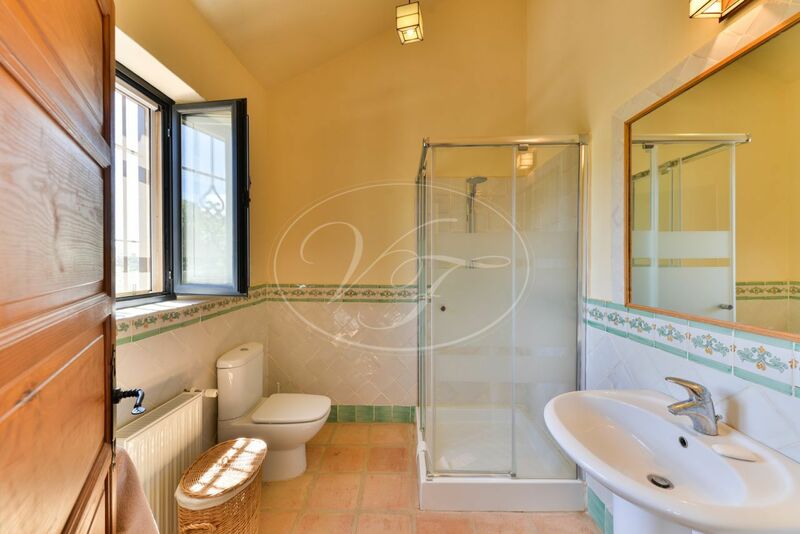 On the same floor are three bedrooms with en-suite bathrooms. 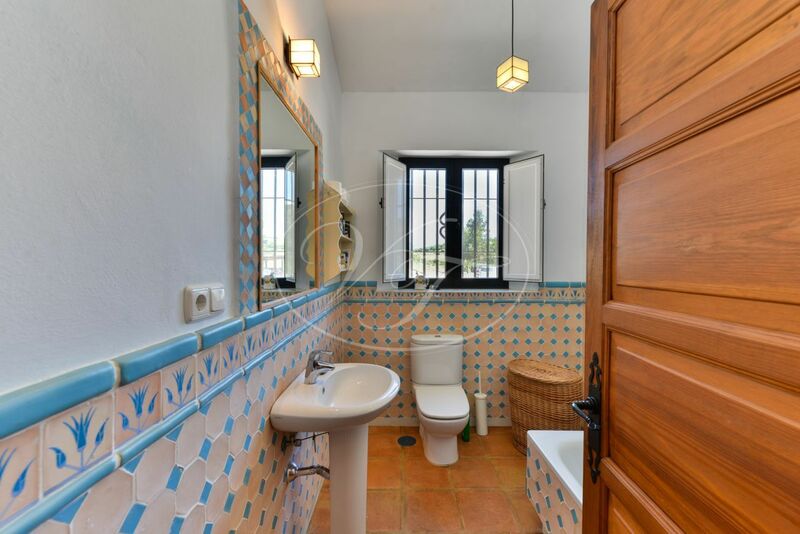 A guest toilet and a study room that could be used as a fifth bedroom. 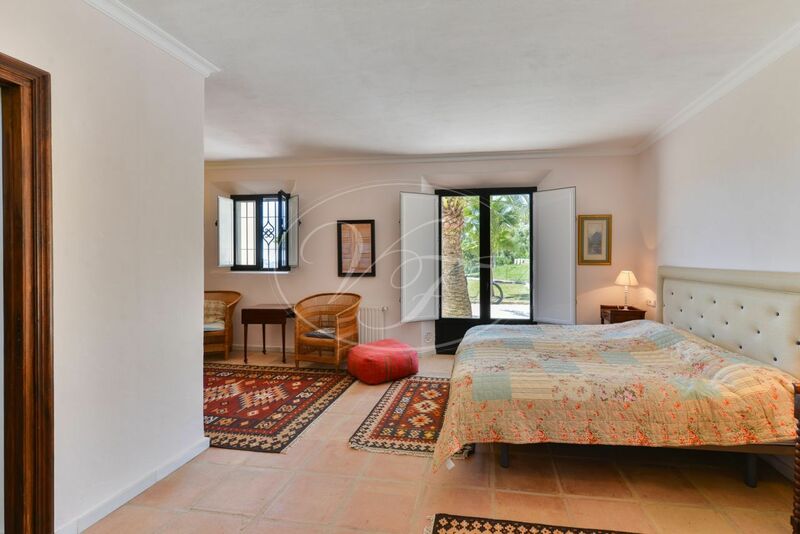 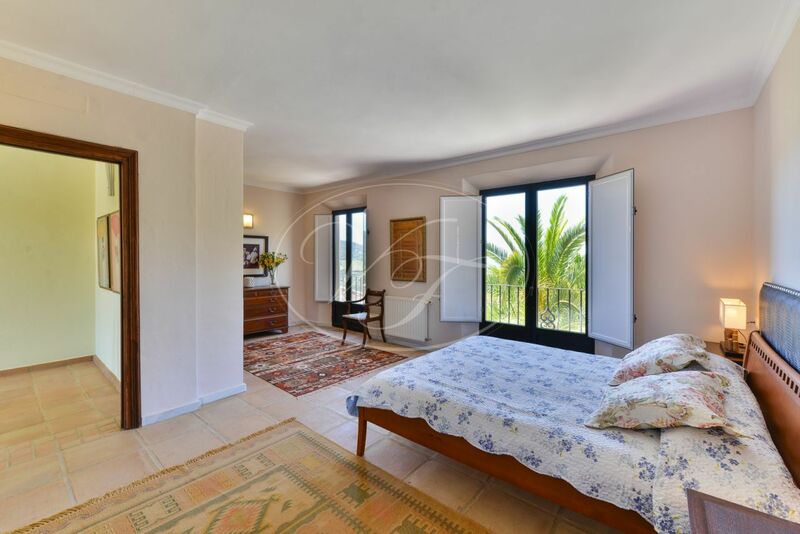 The master bedroom and the suite with bathroom are on the first floor, as well as the dressing area and a balcony with open views to Gibraltar. Underneath the villa is a workshop, storage area, water systems, and electrical power system and batteries. 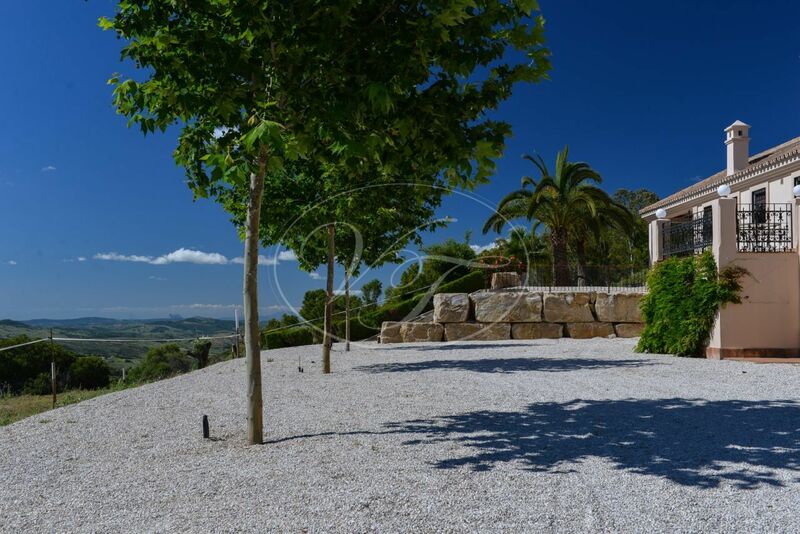 The garden is charming and embellished with lawns, terraces and a swimming pool. 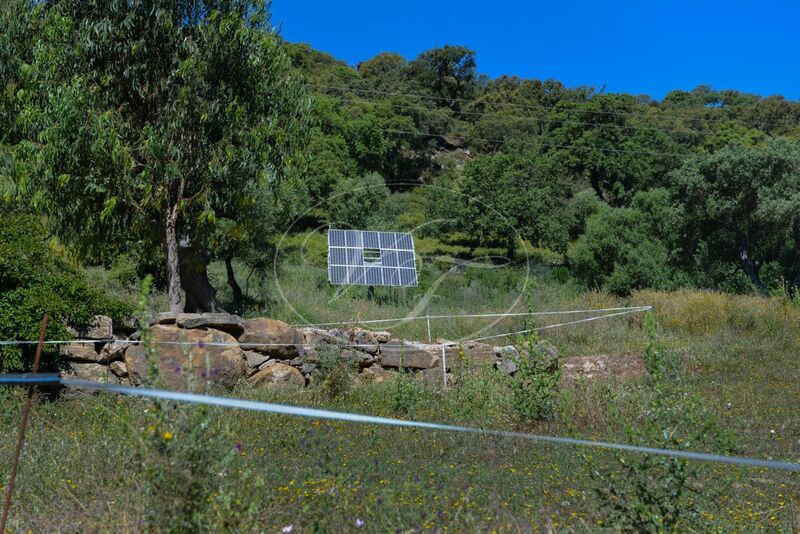 Additional features include central heating with radiators on gas, solar panels for electricity, water from a borehole and ancient water well. 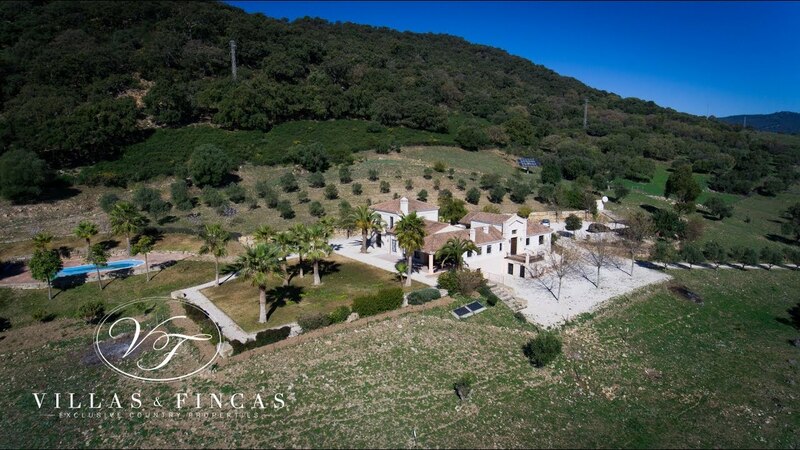 The property is 10 minutes from the famous village of Gaucín and 45 minutes from the beaches of Sotogrande and Casares. 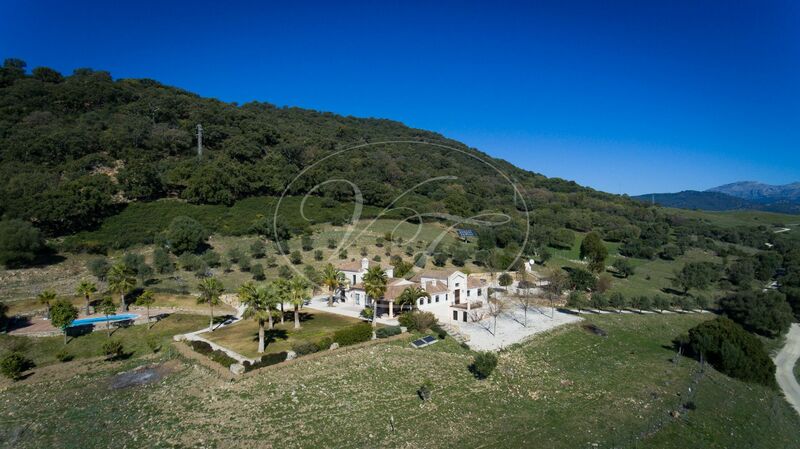 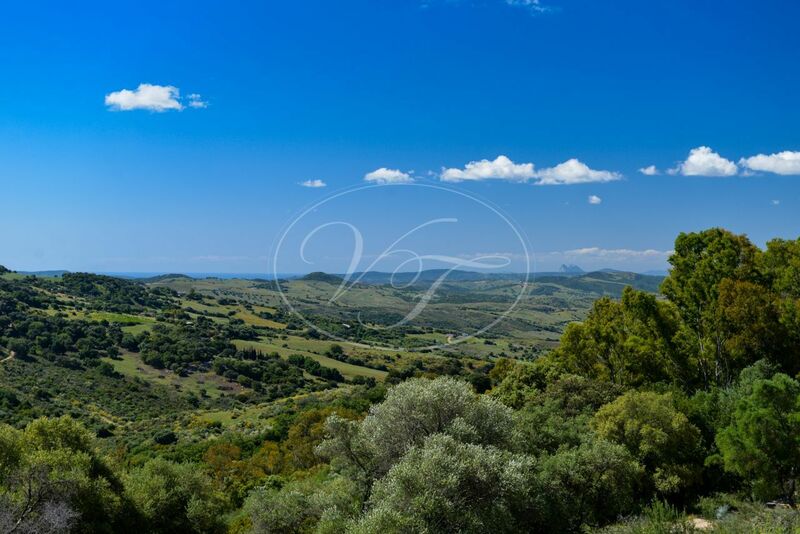 There is a plot of 6 hectares available next door, excellent grazing land for horses. 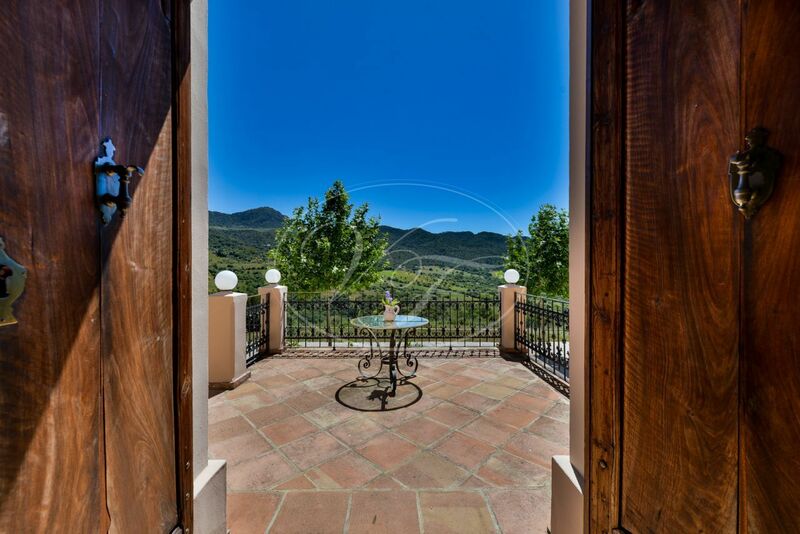 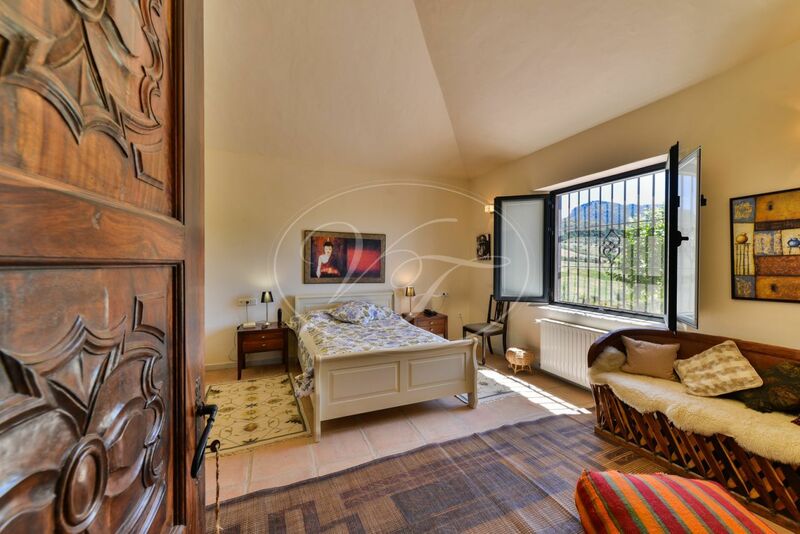 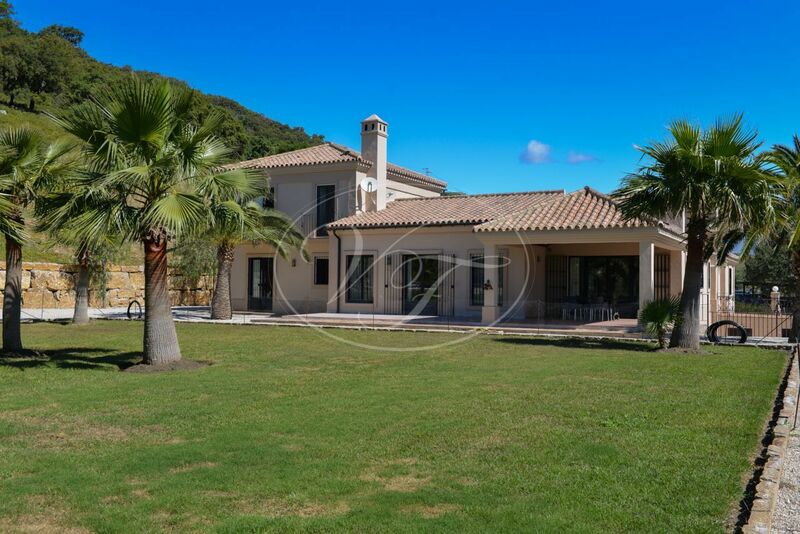 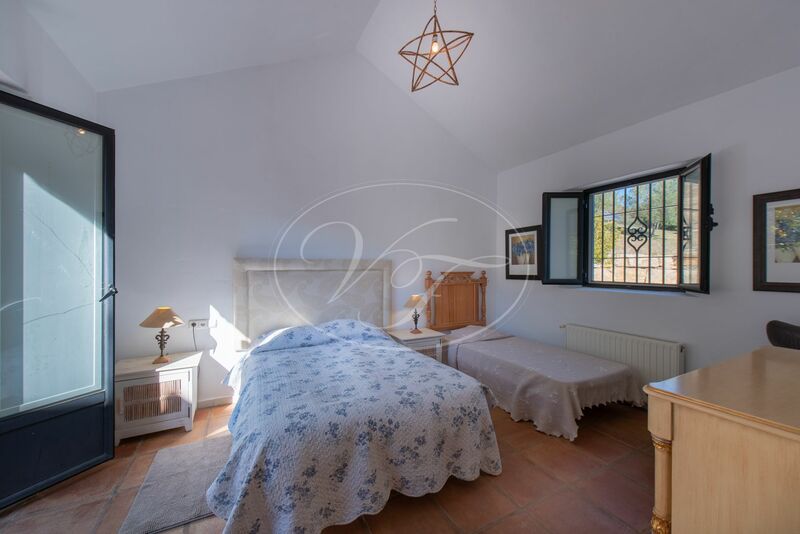 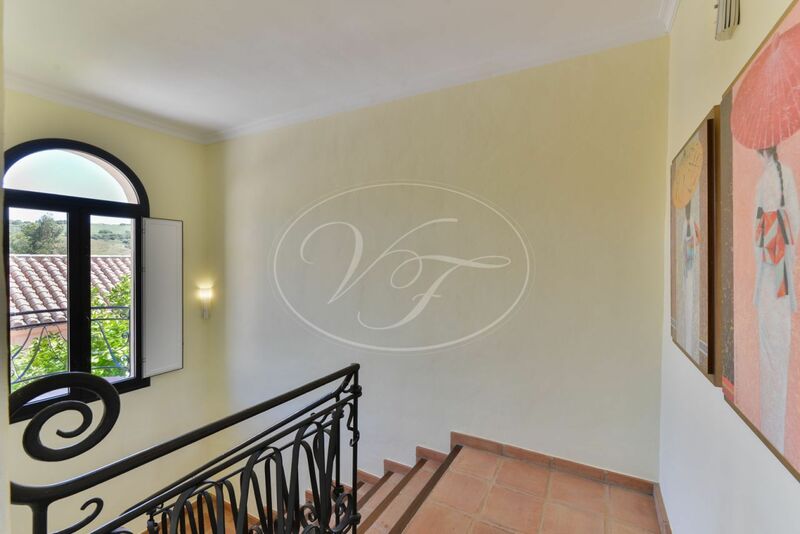 Please, send more information about ref 186-00267P, Country House in Gaucin or similar properties.